Record your rise from apprentice to archmage with this character codex! 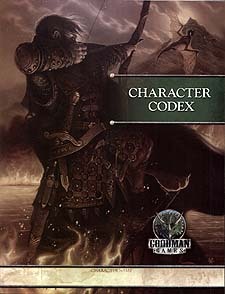 Extremely useful for characters of any class, this book provides a record of your character than can expand as your character does. It includes plenty of room for all your hero's statistics, equipment, cohorts, and magic items, and even has an adventure journal and a place to design your character's keep! Compatible with the fourth edition of the world's most popular role playing game.